Another week gone and another week closer to getting back in shape. I was only able to get three workouts in this week, which was due to this lingering sickness. This whole congested head, running/stuffy nose and cough so deep you think a lung is going to burst, has been sticking around for two weeks now. Thankfully, I think it’s finally on its way out! I felt the worst on Monday and Tuesday, so I opted to take both for as a rest day. I felt a little better on Wednesday and took advantage of the beautiful weather. I booked it home and was out the door by 6:25. I sprinted to the back roads to watch the sunset, knowing it’d probably be my last run outside after work for a while. Luckily, I got quite the show. I was a little tired, but slowed my pace on the way back and did some loops in the development to keep me safe from traffic until the sun was gone. 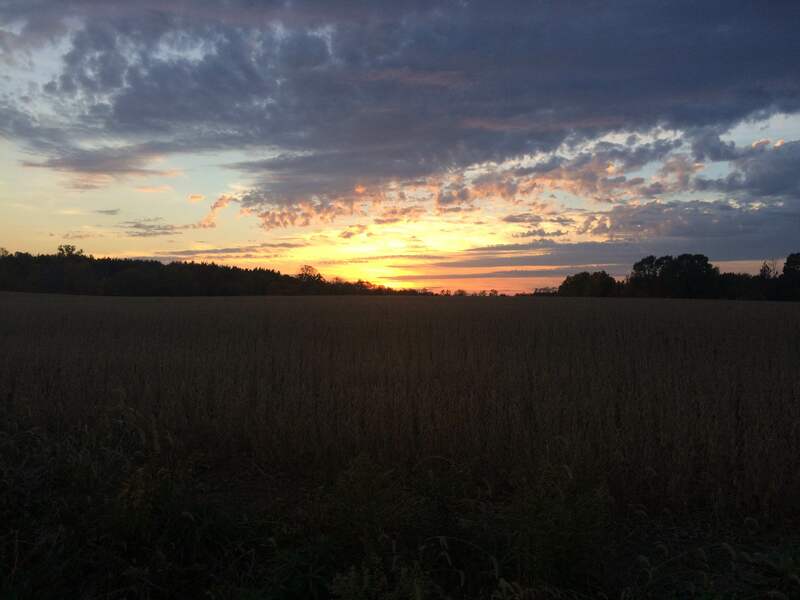 Country sunsets are always worth the run. I wanted to get a run in on Thursday, but just didn’t have enough time after work before dinner and Grey’s night, so I went into Saturday’s race with fresh legs. I’ll have a recap up later this week. 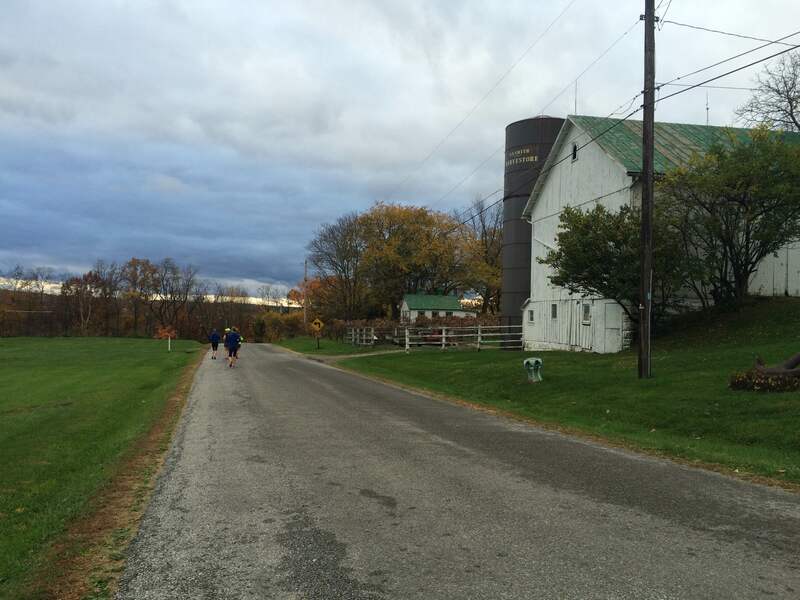 Sunday I set out for my last long run until my next half marathon. 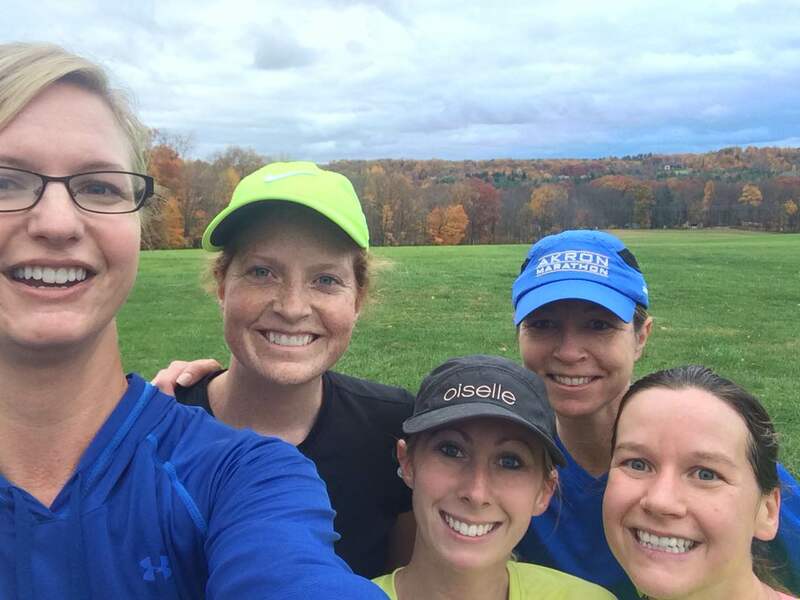 I met up with Mallory and Jennifer at Hinckley, and we started with the outer lake loop. My legs were a little tight from Saturday’s race, but I finally warmed up by the third mile. Once we got back to our cars, Mo and Sherri were ready to start the 9 mile loop around Hinckley. It’s been some time since I’ve done the loop, but this is the perfect time of year to be out there. The trees were at peak color, and I couldn’t get over how beautiful everything was. We managed to keep a decent pace, even when I stopped to take some pictures. 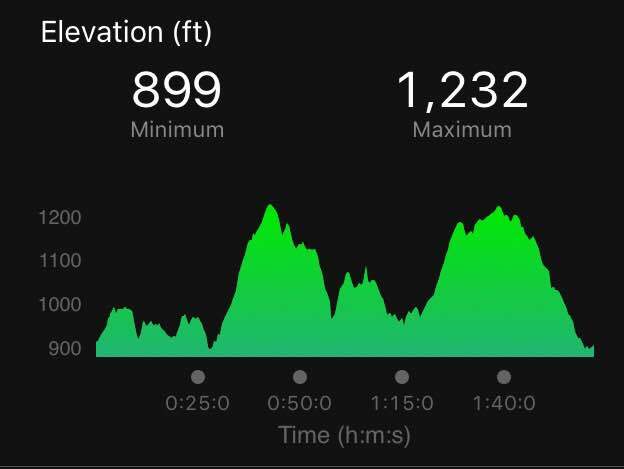 I never felt like I was working too hard, but the hills were a bit harder than I remembered. We continued on, and I started to fall back with Mo. We got to Effie, took our fuel and continued on our way, not too far back from the rest of the group. The pace was still pretty good, considering how hilly it is. We finished up, and I felt even more confident that I could handle a half marathon in two weeks. Another week of getting back to where I was, and I’m definitely feeling more confident in my running. I’m starting to work on a training plan for the rest of the year, mostly to keep me motivated and on track. As well as start my short list of races next year. I’m finally out of my rut and glad to be back doing something I truly love.